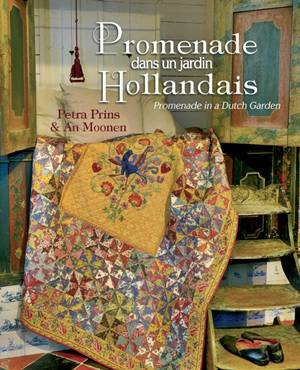 Petra Prins and An Moonen have co-authored this stunning book with beautiful photography, set in the grounds and buildings of the Arnhem Museum in Holland. It showcases a collection of antique quilts from the 18th,19th and 20th century which have then been reproduced with the fabrics of today. All the quilts have full size templates and clear instructions. The book features 12 projects in its 255 pages. The text is in French as well as English and a must for lovers of reproduction quilts.